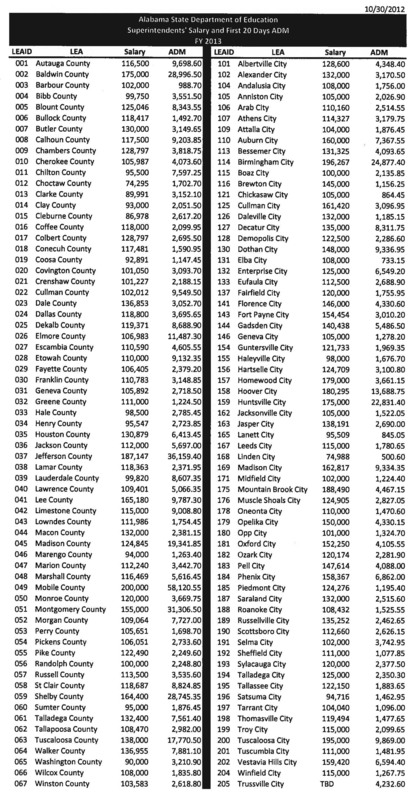 As you many know, Hoover City Schools employees received a 2% raise this year. Superintendent Andy Craig got the 2% raise, too. The picture below depicts Mr. Craig’s salary, benefits, and other expenses attributed to the superintendent’s office over the past years. One would wonder why, when half of the children he is charged with overseeing are losing their ride to school next year, why he would take a 2% raise. And further, why his travel allowance and supplements increased as well. His compensation package increased $10,000 from the last fiscal year, according to Hoover’s budget documents on file with the state department of education. Don’t be fooled by the decrease in overall compensation package in a couple of the years. It appears that the numbers are a bit wonky in FY08 and FY10. Also, HCS’ contribution to state retirement went down for a couple of those years. 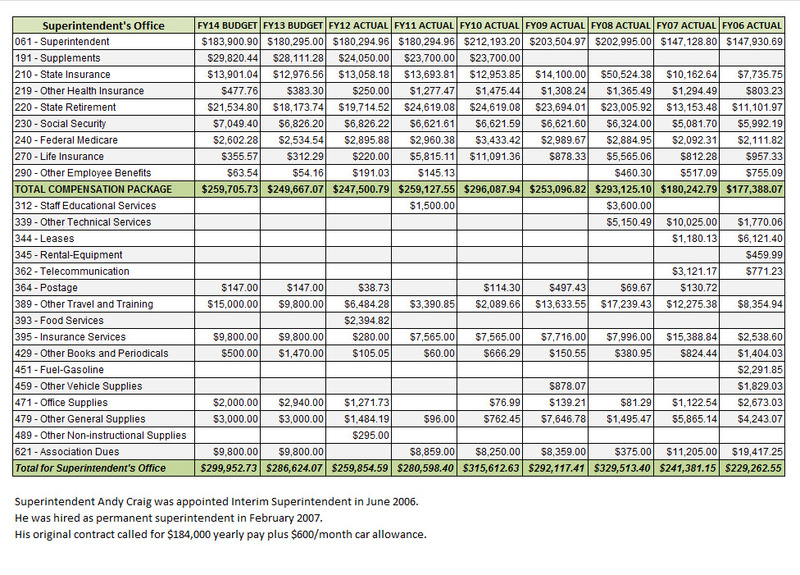 Here are superintendents’ salaries from across the state as of October 30, 2012.